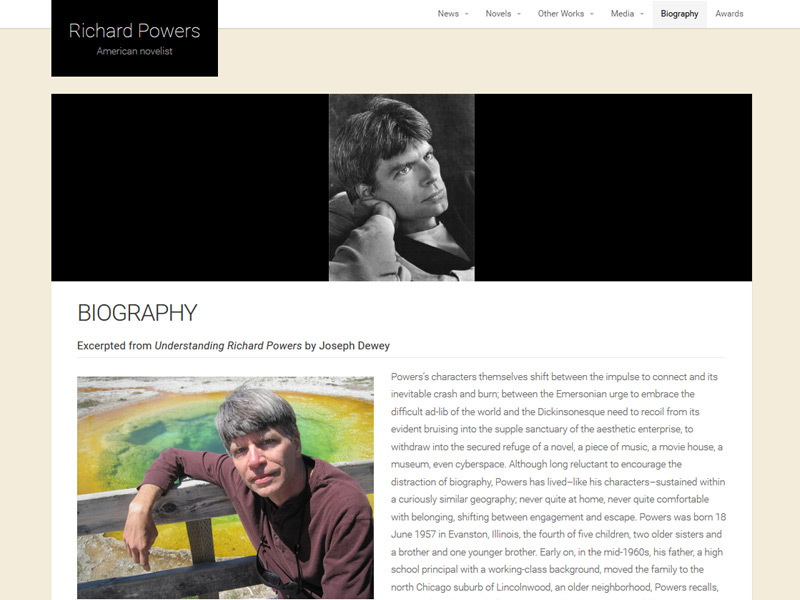 Introduced through some serendipitous networking, I met novelist Richard Powers and learned that, with a major new book release on the near horizon, he was thinking of rebuilding his website. More serendipity: the existing site had been built as a labor of love by an administrator at Sonoma County Library, right here in Santa Rosa. What a fluke! He generously shared his archives with me and I got to work. The number one feature this website needed was an easy to update interface. The blogging functionality of WordPress was the perfect structure for frequent postings of articles, reviews, and appearance announcements. 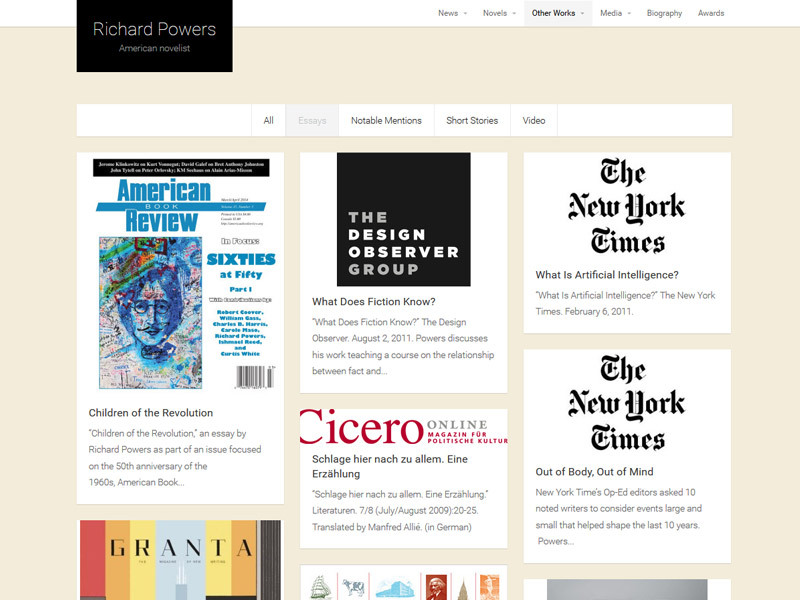 After brief training, Richard Powers’ assistant got the routine down and now updates the site frequently. 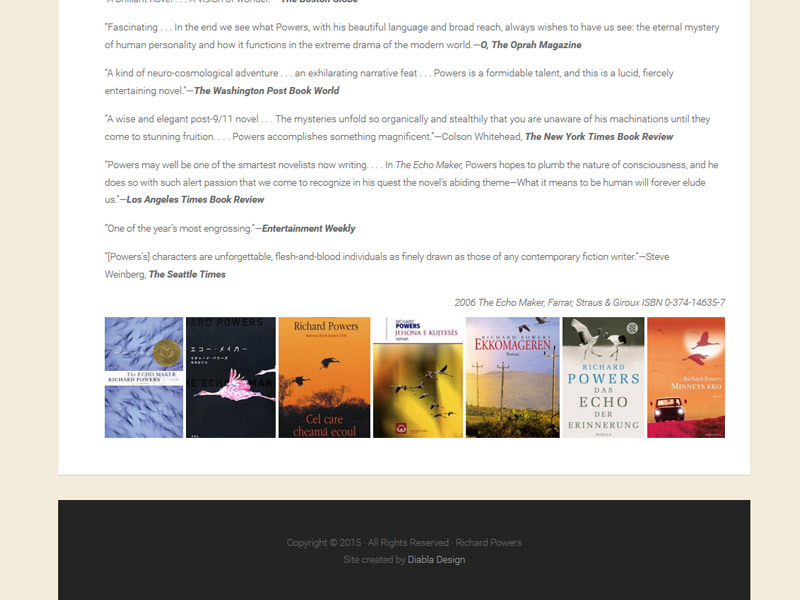 Each book has a page decorated along the bottom with a banner of cover art from international editions. 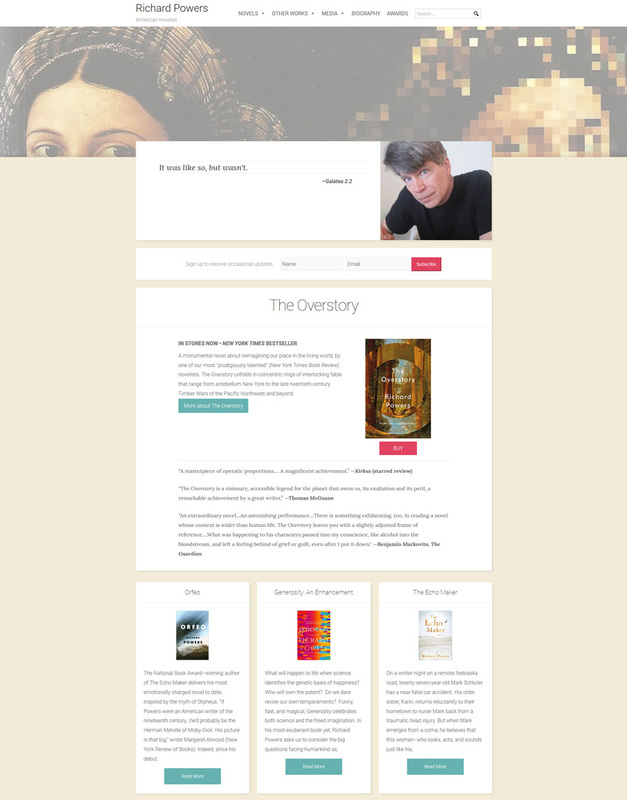 More cover art comprises the homepage banner. A rotator cycles through quotes.